There’s a slight nip in the air and the woollens are out by now already. Unfortunately, to look and feel good, only wearing sweaters and jackets doesn’t suffice. As much as one would prefer covering up and stay warm and cosy, the low temperatures ultimately manage to affect the skin and cause damage. Ideally, following a good winter skincare regime is the way to go. That takes daily commitment for adhering to a schedule, of course. But worry not. If you are hard pressed for time, here is a cheat sheet to still manage to look radiant. Hydration is the key. Dry weather can cause flaking and itchiness. This is even more prominent for sensitive skin. A simple trick for this is to stay hydrated. Though winter doesn’t make us feel as much thirsty, drink at least 8-10 glasses of water each day. Dry skin aggravates skin ageing so it is imperative to keep it moist internally. For cleansing, use a cleanser with Aloe Vera as it helps restore moisture. It doesn’t have any harsh properties and, therefore, post cleaning leaves behind a soft feeling. For very dry skin, avoid soaps. If you follow the daily facial cleansing-toning-moisturizing routine, it is important to use an alcohol-free toner to avoid excessive drying. Look for ingredients such as chamomile and calendula when buying skincare products. These are non-irritants and have natural anti-inflammatory properties. When choosing a moisturiser, someone with an oily skin tone should opt for a light moisturising body lotion whereas; for a dry to normal skin, a thick cream (but non-greasy) should work well. Apply lotion post a shower while the skin is still damp and refrain from excessive towel drying. It helps lock in the moisture. The best routine is to reapply a thin layer of moisturizer as and when you can throughout the day. Massage your hands and legs with argon oil before going to bed to wake up for a supple skin. Speaking of showers, never take a very hot water bath during winter. Of course, the cold weather may want you to increase the water temperature a little more than normal. But that could cause more harm than comfort. Too hot water causes the skin pores to open up exposing them more to the cold air. Hence, go for lukewarm water. Use a detergent-free cleanser, again to avoid dryness. Apply and re-apply a lip balm as and when possible. The thin skin on the lips cracks easily so applying natural protective oils will prevent chapping. The most easily available in this regard is the olive oil. Apply a little at bedtime so the lips too get their share of care. For feet care, apply a thick moisturizer or even Vaseline on those cracked heels, nails, and all over the foot, actually, and wear socks at bedtime. At the salon, opt for a paraffin wax pedicure. Even for hands, for kitchen cleaning, use gloves whenever possible to avoid direct contact with detergents. Also, when you wash hands post some task, pat them dry instead of rubbing hard. For cracked hands and feet, Shea butter creams work wonders. Apply liberally and leave them overnight so they get enough time to recuperate. Sunscreens are a must even during winters. UV rays cause havoc at any point in time and hence, use a broad spectrum sunscreen (for UVA and UVB protection) with minimum SPF 30. If you have access to a humidifier, use one for creating warmth and putting moisture back in the air you are breathing. This also significantly helps in reducing nasal congestions and throat irritations, common due to the dry coldish air. People suffering from sensitive, dry skin completely vouch for the comfort they feel when around a humidifier. Things to particularly avoid – excessive intake of salt and sugar, and err, alcohol. These will dehydrate your skin and are best to stay away from or at least limit their consumption to a minimal level. Instead, you can drink green tea with natural anti-oxidant properties to stay warm from within. So get ready for all the New Year celebrations just around the corner. Remember to pamper your skin with all the hydration it needs and let it help you glow in turn. 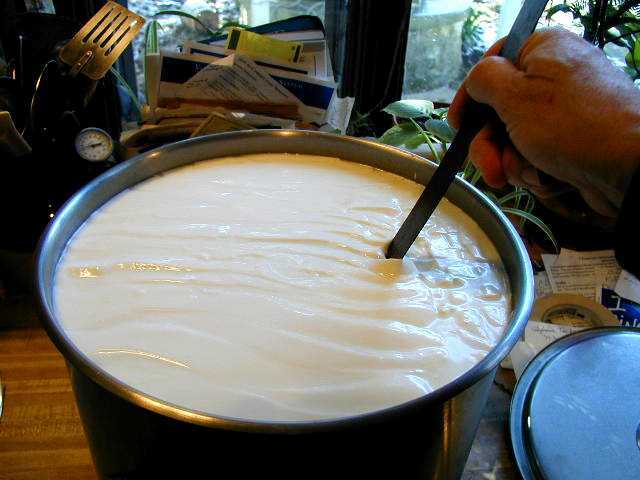 It’s summer and curd is one of the most soothing substances there are. We say substance because it isn’t just a food that cools your body and keeps acid levels down in the stomach, it has many other benefits that are not just dietary. Curd has great skin benefits as well. With the heat increasing, your skin may see a few rashes or may feel irritable. And at such times, you don’t have to look for some expensive skin cream – just go for that little cup of curd, your first aid dermatologist. For quick relief from heat-related skin rashes, diluting curd with water and applying it over the affected area cools the skin and brings relief. This can be used on children as well, as it has no side-effects. This will also hydrate the skin. This is probably one of the best remedial effects of curd. It is really great for babies as well. Issues like nappy rash or other heat-related rashes or rashes caused by insect bites can be dealt with diluted curd or buttermilk.